When I believed in the Lord, I saw the Bible recorded, “For the time is come that judgment must begin at the house of God” (1 Peter 4:17). So, I knew God would judge us mankind in the last days. At that time, I imagined: When God appears publicly in the last days, He will sit on a great white throne and set a large table before Him. On the table there was a big screen where various sins of people before their death are projected. All the people will accept God’s judgment one by one, and know their outcome. This was my understanding of judgment at that time. 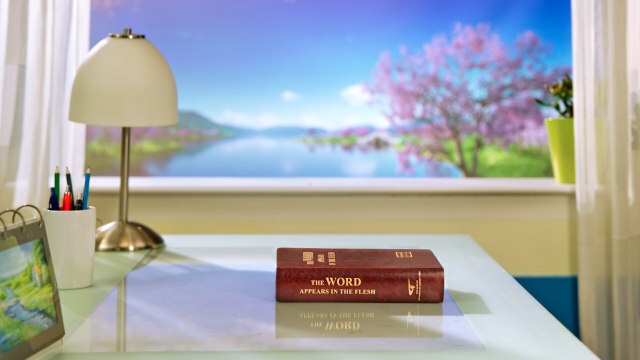 After I was uplifted by God to accept God’s work of the last days, God’s word revealed this mystery and reversed my conceptions of judgment, so that I returned before God’s throne. First, if We Only Know God’s Name, then Our Belief in the Lord Is Perfunctory. During my middle school period, I studied in a Christian school. Under the guidance of a teacher, I was determined to believe in the Lord. I still remembered when I made the determination, the pastor said, “‘And as it is appointed to men once to die, but after this the judgment’ (Hebrews 9:27). And yet, the Lord Jesus Christ became flesh and was crucified for mankind, redeeming us personally through His precious blood and forgiving our sins. Are you willing to receive the Lord Jesus as your Savior? If you confess with your mouth and believe in your heart, you can be justified and saved by faith.” At that time, I thought: If I can be saved and can escape the judgment as long as I acknowledge the Lord Jesus Christ as my Savior, then it’s really substantial to believe in God. Since then, I usually went to Sunday school and had spiritual devotions every day. I led a Christian life. However, in every meeting, whether the sermon of the pastor or the sharing of the leader of the Bible study group, they all sounded like biblical stories to me and had nothing to do with me. So, every time after the gathering, I forgot the sermons completely. When I had spiritual devotions, I felt I was doing the same thing as studying other subjects. After each prayer, my difficulties still remained unresolved, so I always doubted whether the Lord had heard my prayer or not. Seeing my friends were devout, I felt I fell behind them. I knew nothing about why I believed in God, how to know God, and how to understand His will. I only learned in the Bible that God would judge mankind in the last days. For the sake of my prospects and fate and for escaping the judgment of the last days, I kept on staying in the church, living an empty and perplexed religious life. But when I entered into the university, I was gradually immersed in knowledge. My whole mind was filled with the busy school life. So, being saved by faith and the judgment of the last days seemed unreachable for me. I thought: I should strive for life first and believe in the Lord during my last moments. Anyhow, even if I’m determined to follow the Lord at that time, I can also be justified by faith and be saved by faith. Therefore, gradually I didn’t attend meetings and stopped my spiritual devotions and prayers. My nominal Christian life ended. Second, God’s Knocking at My Door Changed My Absurd Notions. In a blink of an eye, several years passed. After my son was born, in order to take better care of him and educate him well, I gave up my job and became a stay-at-home mother. Since then, I was very satisfied, trying my best to make various food for him, taking him to travel around, and designing all kinds of games to help him study. My son became the driving force and the goal of my life. I lived such a kind of life for one year. At the end of 2016, I knew Sister Ahong from the Church of Almighty God. One day, Ahong and another sister Meijuan had dinner together with me. When Meijuan knew that I was ever determined to believe in the Lord but left the church at last, she said, “That’s because you don’t have a deeper knowledge of God. 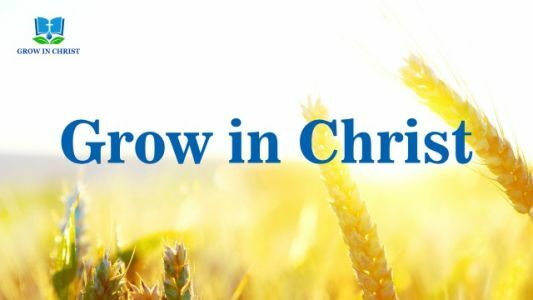 Are you willing to have more knowledge and understanding of God?” … In the following two months, Meijuan invited Sister Jiamei to fellowship with me. We spared one day every week, praying and sharing God’s words together. Then, she shared a passage of words with me: “Perhaps there are those who believe in such supernatural imaginings as that, when the last days have arrived, God will erect a big table in the heavens, upon which a white tablecloth will be spread, and then, sitting upon a great throne with all men kneeling on the ground, He will reveal the sins of each man and thereby determine whether they are to ascend to heaven or be sent down to the lake of fire and brimstone. No matter what the imaginings of man, the substance of God’s work cannot be altered. The imaginings of man are nothing but the constructs of man’s thoughts and come from the brain of man, summed up and pieced together from what man has seen and heard. Therefore I say, however brilliant the images conceived, they are still no more than a drawing and are not able to substitute for the plan of God’s work. After all, man has been corrupted by Satan, so how can he then fathom the thoughts of God? Man conceives the work of judgment by God to be particularly fantastic. He believes that since it is God Himself doing the work of judgment, then it must be of the most tremendous scale and incomprehensible to mortals, and it must resound through the heavens and shake the earth; otherwise how could it be the work of judgment by God? He believes that, as this is the work of judgment, then God must be particularly imposing and majestic as He works, and those being judged must be howling with tears and on their knees begging for mercy. Such a scene must be a grand spectacular and be deeply rousing…. Everyone imagines God’s work of judgment to be preternaturally wonderful” (“Christ Does the Work of Judgment With the Truth”). Reading these words, I thought: This exactly is what I think. Can it be that my thoughts are all my imaginations? The way the sister shared with me was what I never heard when I was in religion these years. These words are meaningful and there is truth to be sought in them. So, I asked, “Is this a Bible commentary?” She answered, “This is God’s word.” I felt a little surprised, thinking, “God’s word? Will God write words personally? Is this entire book written by God personally?” However, I didn’t speak out these questions. Driven by curiosity, I chose to listen to her sharing and fellowship, so that I could know more about God’s judgment in the last days through understanding more of God’s words. She shared another passage of God’s words with me: “In the last days, Christ uses a variety of truths to teach man, expose the essence of man, and dissect his words and deeds. These words comprise various truths, such as man’s duty, how man should obey God, how man should be loyal to God, how man ought to live out the normal humanity, as well as the wisdom and the disposition of God, and so on. These words are all directed at the essence of man and his corrupt disposition. In particular, those words that expose how man spurns God are spoken in regard to how man is an embodiment of Satan and an enemy force against God. In undertaking His work of judgment, God does not simply make clear the nature of man with just a few words; He exposes, deals with, and prunes it over the long term. These methods of exposure, dealing, and pruning cannot be substituted with ordinary words, but with the truth that man does not possess at all. Only methods of this kind are deemed judgment; only through judgment of this kind can man be subdued and thoroughly convinced into submission to God, and moreover gain true knowledge of God. What the work of judgment brings about is man’s understanding of the true face of God and the truth about his own rebelliousness. The work of judgment allows man to gain much understanding of the will of God, of the purpose of God’s work, and of the mysteries that are incomprehensible to him. It also allows man to recognize and know his corrupt substance and the roots of his corruption, as well as to discover the ugliness of man. These effects are all brought about by the work of judgment….” (“Christ Does the Work of Judgment With the Truth”). God’s words and the sister’s fellowship changed my imagination and conception of judgment. I completely understood that God does not set a table to judge evil people after He brings the world to an end, but express words to practically do a stage of work of judgment by expressing words in the last days. It’s through the word that God exposes our corrupt nature, allows us to know our various corrupt dispositions, and commands us to practice the truth to get rid of them, so that He purifies us and saves us completely. However, I just had a superficial understanding of these God’s words, and hadn’t experienced God’s work, so I didn’t know how God does the work of judgment. It wasn’t until I practically experienced God’s words that I felt God’s judgment in the last days is so practical. Once, Sister Meijuan shared with me frankly about the low point of her existence and the experience of her belief in Almighty God, and invited me to share about my life experiences or difficulties. At that time, I, arrogant and self-right, thought it was a sign of weakness to tell others about my difficulties. So, in order to save my face, I said nothing about my secrets and responded to the sister’s solicitude evasively. When I compared these words to myself, I felt this was God’s judgment of me. God reveals my treacherous nature through His words, and I felt ashamed at once. The sister was so open to me, but I chose to be a deceitful person, hiding my true condition from her. Actually, I suffered my husband’s betrayal and felt extremely miserable, but I forced myself to smile to the sister. I asked myself: Which is more important, my face or receiving others’ care? God requires that we become honest people, but if I can’t be frank to my sister, how can I be an honest person before God? How can I be loyal to God? And How can I get truth and be saved? The next day, in the meeting, I finally opened up to my sister about my depression and shared how God judged me through His words and let me know my corruption, and how God used His words to console my heart. After I did that, I felt the estrangement between me and God was removed. Since then, I could open up to any brother or sister in the church. During every meeting, I always shared some experiences and difficulties with brothers and sisters. Thanks be to God! Every time when I had notions or fell into difficulties, brothers and sisters would lead me to read relevant words of God and help me understand the truth. Then through experiencing the truth in my life, I found the way to practice the truth and finally resolved my situation and difficulties. I truly tasted: In the last days, God personally becomes flesh and expresses words to carry out the work of judgment and reveal our corruptions, and this is even more God’s realest love and salvation for us. Thank God! All the glory be to God! By Liu Ming April 12 Sunny Today, in the gathering, our pastor read several verses about the judgment of the last days, “And as it is appointed to men once to die, but after this the judgment” (Hebrews 9:27). “And I saw a great white throne, and him that sat..
Bible Verses for Reference: “Behold, I stand at the door, and knock: if any man hear my voice, and open the door, I will come in to him, and will sup with him, and he with me” (Rev 3:20). “He that has an ear, let him hear what the Spirit..